Biofinity Multifocal lenses are designed to correct vision problems associated with presbyopia. Thanks to their Aquaform technology, their enhanced moisture means they're suitable for extended wear for up to seven days and six nights. 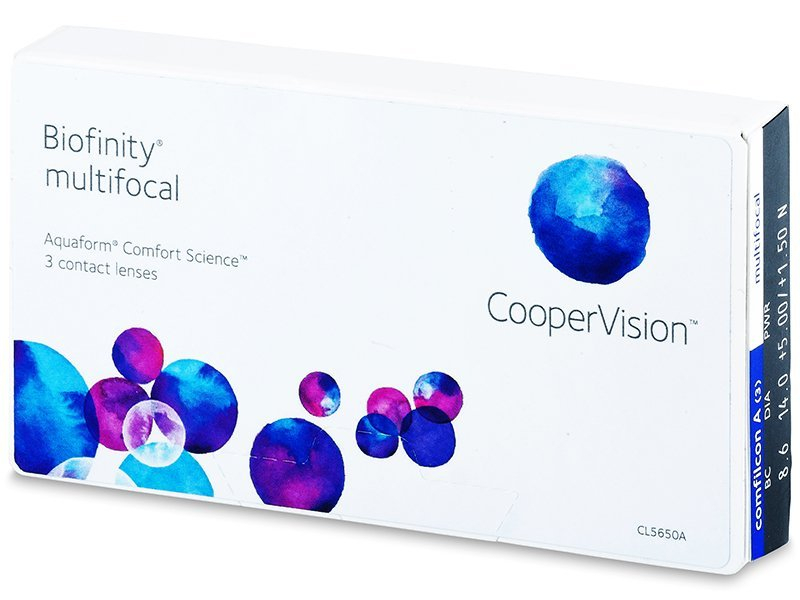 Biofinity Multifocal contact lenses are a new release by CooperVision intended for contact lens wearers with presbyopia. These lenses have a monthly replacement schedule and are sold in a package of three lenses. Biofinity Multifocal contact lenses are also suitable for extended wear for up to seven days and six nights, if approved by your eye-care professional. We also offer a larger pack of six Biofinity Multifocal lenses. Presbyopia is a common eye defect that makes it difficult for people to focus on near objects, such as newspapers, or see well in low light. Biofinity Multifocal contact lenses enable clear, sharp vision at all distances. Thanks to this technology, Biofinity Multifocal contact lenses retain moisture and inhibit age-related drying of the eyes. In addition, the lenses remain moist even without moisturising eye drops. They attract and retain water, which decreases the risk of dehydration. 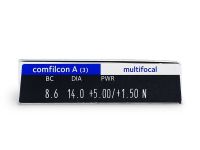 The basic standard of high-quality multifocal contact lenses is sharp vision at all distances. 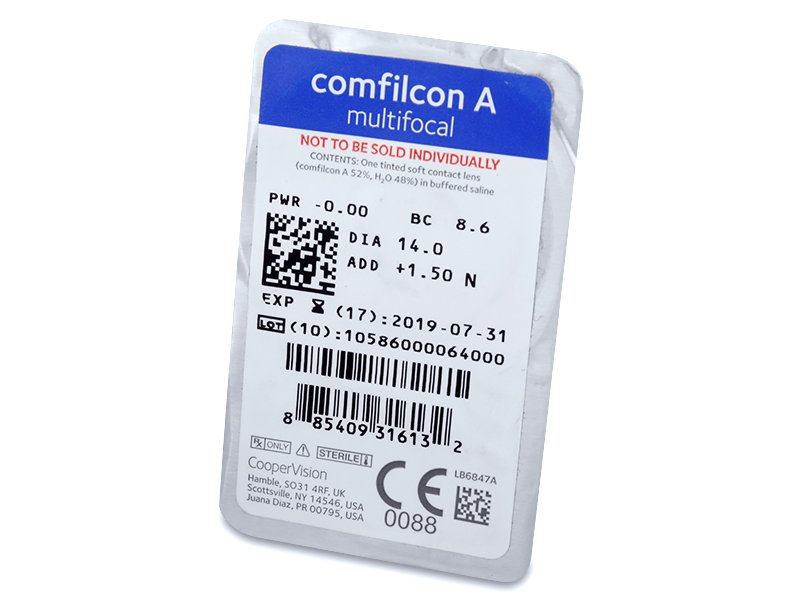 This technology developed by CooperVision combines two different optical designs that ensure exceptionally sharp vision. Compared to PureVision Multi-Focal contact lenses, they are easier to handle, insert and remove. They also offer better vision at close range and arm's length compared to Air Optix Aqua Multifocal contact lenses. Really good multi focals, I can put these in at the beginning of the week and not have to worry about them. Can you sleep in Biofinity multifocal lenses? Hello Terrence, Biofinity Multifocal lenses are safe to wear overnight for up to 7 nights. Please check with your optician before beginning this type of wear. Supremely light and comfortable lenses. great site, too. Made ordering a breeze. what's the difference between D and N for near sight when I want to order a bifocal lense? Hi, Vas, D and N refer to dominant and non-dominant eye, which some toric lenses require for different eyes. We recommend consulting with an optician to determine which is best for you! top vue are not the smart alternitive they in no way compare to biofinity these are lighter and far more comfortable to wear.